After successfully launched 87 Showrooms all over the India & GCC, Malabar Gold & Diamonds will launch their 88th Showroom in Rajkot on 14th April 2013, Sunday. Malabar Gold & Diamonds is opening 40 outlets in the coming months and out of this 20 will be in the northern India region. Their first showroom in Mumbai already launched on April 7. 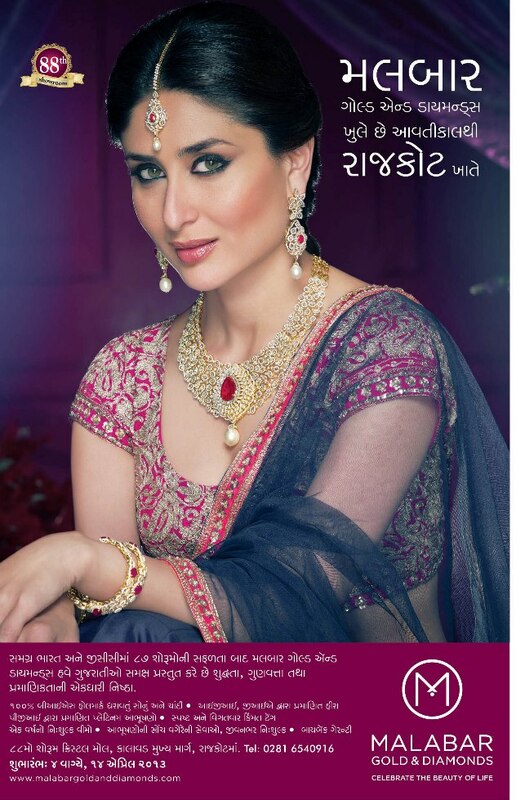 Malabar Gold and Diamonds will be followed by Rajkot (Gujarat) on April 14 2013 on Sunday, and Kurla (Mumbai) in April end. By May and June, they will open their showrooms in Jaipur, Ahmedabad and Gurgaon. The company has targeted to open their 100th showroom in Kolkata in the month of August.